From the pile of retro 2D shoot ’em ups comes Huntdown, which is here to seek out your nostalgia factor. 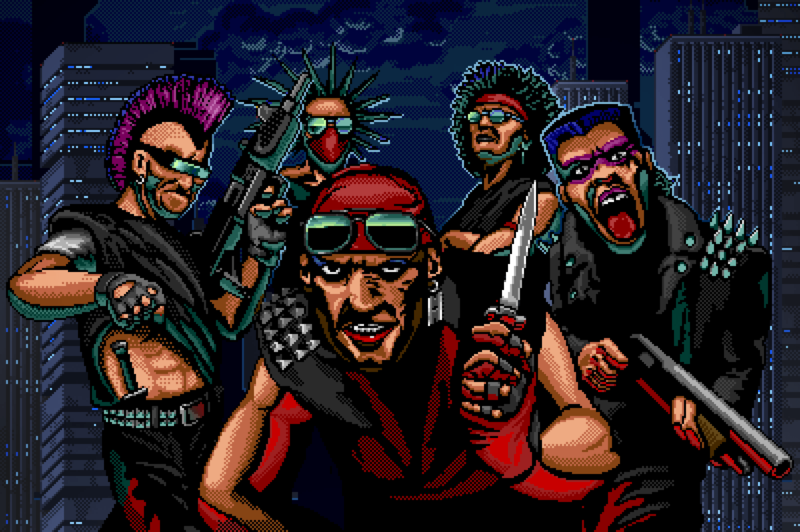 The two lead devs, Tommy Gustafsson and Andreas Rehnberg, derived a lot of inspiration from 80s arcade games and the cassette-era of consoles. The noir sci-fi aesthetic has a Gemini Rue feel to it whereas the blood and action scream Metal Slug. Unfortunately the awkward-rhyming, not-‘jive’-enough narrator ruins the self-referential feel the trailer was going for. The actual game looks interesting enough; you’re a mercenary out rid the city of four themed gangs. 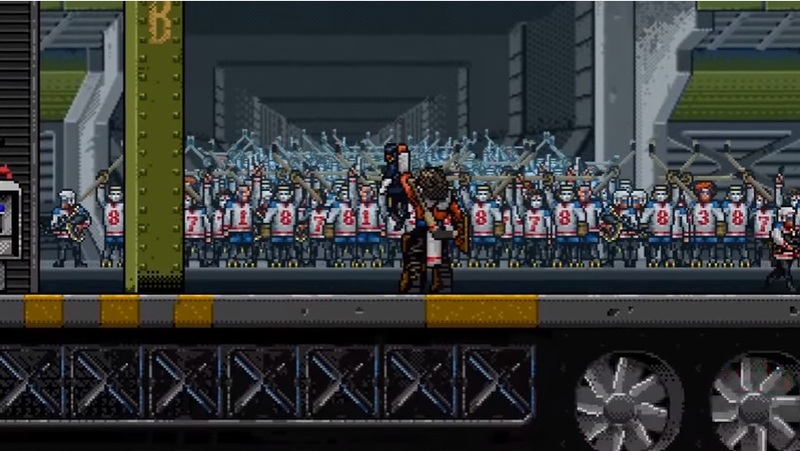 Some of the designs for the thugs are entertaining, like the hockey-clad punks of ‘The Misconducts.’ A simple cover mechanic adds some strategy to the game while a wide variety of guns awaits the player. You know that big guy in the middle is going to do something cool. Huntdown currently has no solid release other than ‘2016’ and it’s coming to many platforms: PC, iOS, Android, and the very unspecific ‘consoles.’ We’ll see if this shooter is one you should hunt down or leave alone. Next Post:E3 2016: Jojo’s Bizarre Adventure: EoH out Soon!